Who are the private companies that work in this space? Are their motives and expectations aligned with those developing the project from the public sector? A market survey of 42 companies globally reveals that private companies are as concerned about finding a fair deal as are utilities. The companies participating in the survey engaged in a range of activities: engineering design, consulting, utility operation, civil works/construction and supply of technology, commercial systems, and materials. Companies have a local, regional, or international reach and their annual turnover has a large variance—from $100,000 to $10 million, which naturally affects their outlook and expectations. This is notable: while most companies considered at least three of the risks as being ‘high’, there were almost an equal number of companies considering that they would assume the risk as those that expected the utility to mitigate them, indicating that some companies are looking for more balanced deals, while others had an appetite for taking on risks, for which, presumably they expect to be compensated. 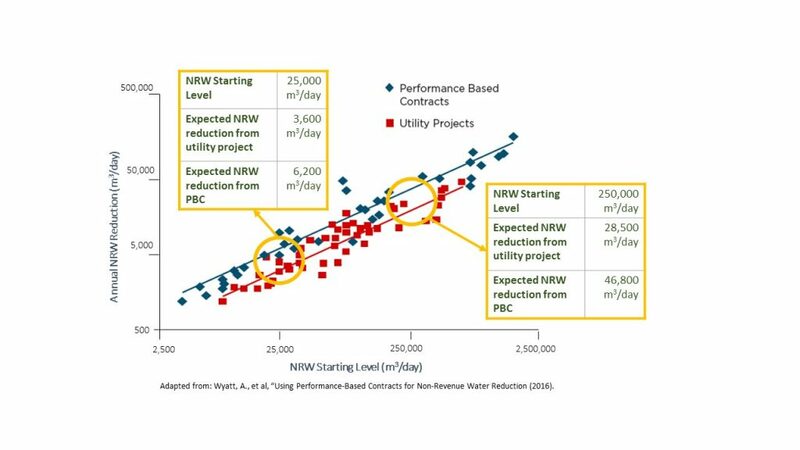 Although the majority of companies (65 percent) have been involved in NRW projects, many were not familiar with how PBCs work and a substantial portion (44 percent) seek training on performance-based contracts. A bit more than one-third of the companies also indicated the need to better understand the local water and regulatory context. Working in partnership with local companies is not a perfect solution to overcome the lack of local knowledge, as it brings up other considerations for companies. While a large majority are open to working with local companies, more than 70 percent would only do so where roles and risks are clearly identified and allocated between the partner companies. Respondents had a wide range of expectations on project size. Expectations on minimum project size correlate well to the size of the companies themselves as well as their view of the opportunity cost of deploying a relatively limited number of expert staff to what they consider as ‘small’ projects. The range that companies were looking for as a minimum were projects that covered at least 7,000 to 125,000 connections. This wide range also translated to expected minimum contract sizes: the lowest minimum threshold was around $500,000 while on the upper end, an average of $5.5 million was considered attractive. Companies expected projects to be, on average, implemented within 20­–48 months. Perhaps contrary to the expectation of utilities, a high portion of potential PBC companies (71 percent) believe that utilities need to be involved in the project and only a few think contractors need to work fully independently. 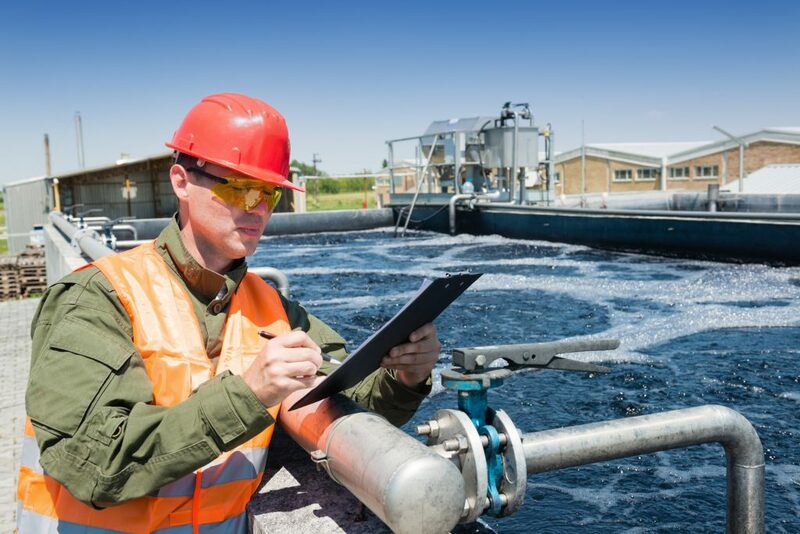 Utility involvement can come in the form of providing access to data, participation in leak detection and repair, identification of illegal connections, to supporting on legal issues, etc. What seems to be an important feature of utility involvement is timeliness. Time is of the essence in NRW control, thus, assuring responsiveness of the utility is important for contractors. Companies would like to see development institutions, such as the World Bank, involved in project funding. They see this involvement as a sign of credibility in the project preparation. They also sought support from development institutions to ensure payment by the utility. Timely payment must be ensured to keep the project on schedule. Considering the performance basis of payments, companies are wary of delays in payments linked to slow project progress that is caused by government actions or inaction. For more on the role of multilaterals in PPPs, see the State of PPPs (1991 to 2015). The insights from this market survey are informing a new wave of NRW performance-based contracts being developed by the World Bank Group and partners. Lessons, tools and resources are also being made available through a new portal on “PBCs for NRW” on the PPP Knowledge Lab.